I was hired as a “Methods and Equipment Specialist” and it has mystified me for years. I was in the masters program at the College of Fisheries at the University of Washington, studying to become a biologist. 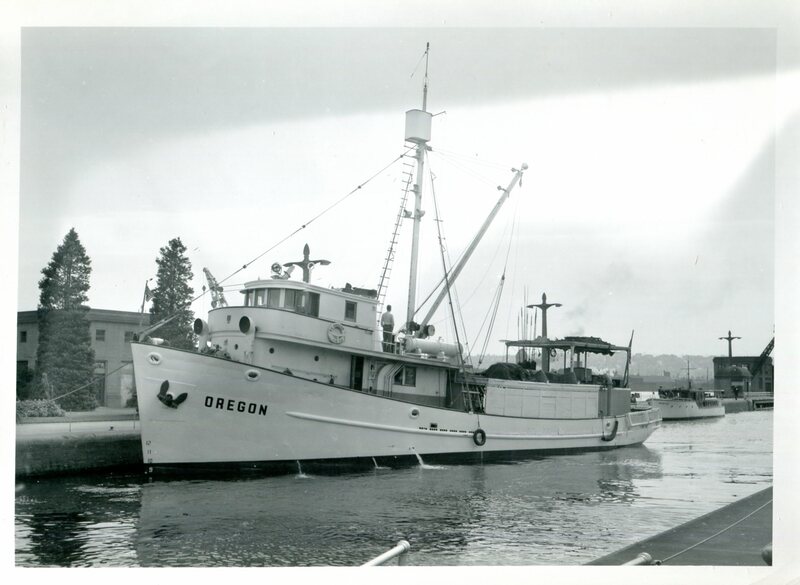 In 1958 Lee Alverson became the new director of the Exploratory Fishing and Gear Research Group and was interested in me, I thought, as a biologist, but when he hired me in 1960 I was excited to become part of this group and who cared about what I was hired as – I wanted to go to sea and get involved with the project. Fifty years later I started seeking answers to questions I had regarding this group that existed between 1949 and 1970 and began posting on Carmel Finley’s Historical blog about what I learned and to write about my experiences. Her blog was the ideal way to record its history. 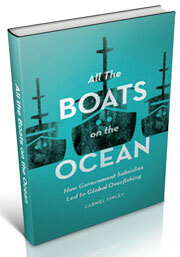 When Carmel Finley was working on her thesis for her Doctorate in History she had collected information on individuals in Fisheries and had stacks of papers. In one of the stacks there was a single copy of the first page of an article entitled “Exploratory Fishing” by H. E. Crowther. There were two pictures on the page, with the text ending with “(Cont. Page 108)” and I wanted to read the entire article, but there was no date on it and only “Fishing Gazette Annual Review Number” on the bottom. 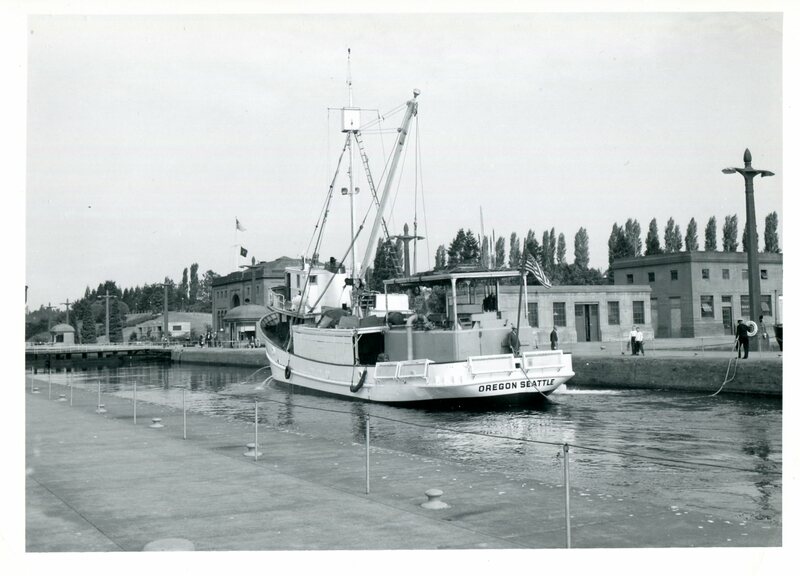 One of the pictures had the caption “The exploratory fishing vessel Oregon passed through the locks at Seattle, Washington, on her way seaward to search for albacore tuna.” That must have been the third exploratory cruise, which meant that the issue must have been published toward the end of 1949 since the cruise began on August 8, 1949. We found it in the NOAA library in the Fishing Gazette, Volume 66, Number 13, “1949 Annual Review Number.” It’s hard to describe the excitement that I felt as I read it, like finding the proverbial needle in a haystack. It is one of a kind and it describes why this group was so important and was the guideline that our group followed during its existence. 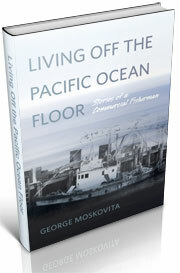 Regarding exploratory vessels he wrote; “Essential to all exploratory fishing operations is a seaworthy vessel which, with minor adjustments, can be used for a number of types of fishing.” He indicated that the difference between the commercial fishing vessel and a research vessel is that the commercial vessel must catch large numbers of fish and carry them to the processing plants, whereas the exploratory vessel is to sample the resource and collect information on the catch. The crew on an exploratory vessel must be experienced commercial fisherman and they must be experienced in order to direct the handling of any kind of gear. Crowther continued that “In addition to the captain and crew the exploratory vessel carries specialized scientific personnel. These specialists are known as Fishery Engineers,” and that is the reason I was classified as a “Methods and Equipment Specialist,” the first step to a Fishery Engineer. As far as I know Lee Alverson believed that the categories should be changed to Biologist and in July, 1961 my classification was changed to that along with most of the rest of the staff. 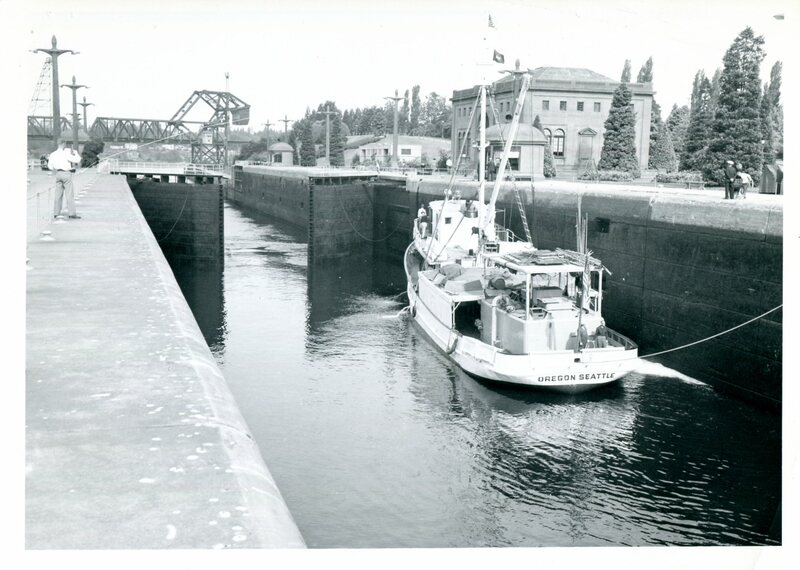 I found a few pictures of the Oregon passing though the locks in the files of Exploratory Cruise number 3. The picture in the article was part of this series that were taken that day and helped to determine the date of the article. They were leaving Lake Union, a fresh water lake and going into Puget Sound, part of the Pacific Ocean – a salt water environment. This is unique, since an ocean-going vessel would have its home port in fresh water so the marine growth would be killed in the fresh water and the vessel’s crew would not have to worry about tides. 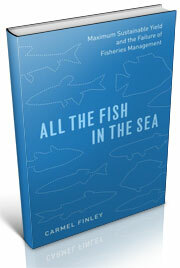 If it was tied to a dock in the marine environment, the lines would have to be watched. 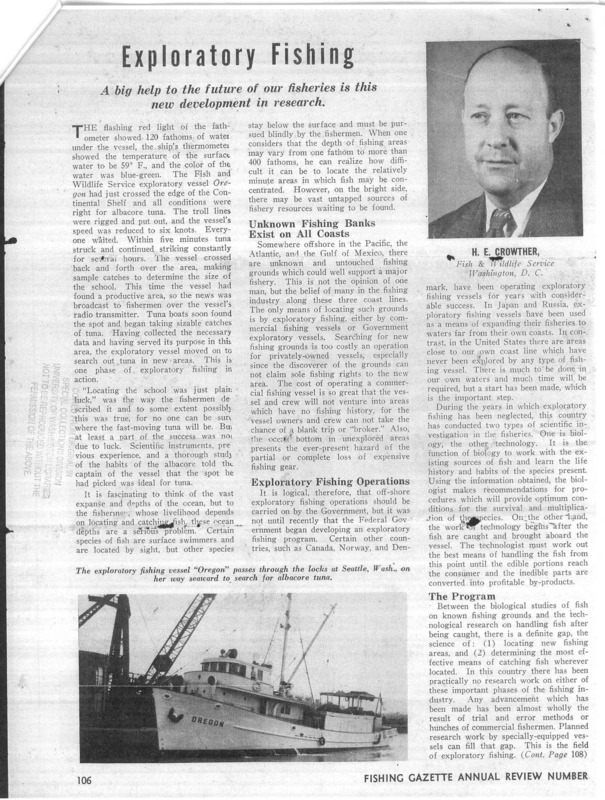 This entry was posted in boat building, Environmental History, Exploratory Fishing Base, fisheries science, Fishing, History of Science, History of Technology, Maritime History, Ocean fishing, Pacific Explorer, Pacific Fishing History Project, R/V John N. Cobb, Resources About Fishing, World History and tagged Bering Sea, Gear Research Group, groundfish, History of Science, trawling. Bookmark the permalink.